TECAFORM® FG Blue is Ensinger's new blue colored acetal designed specifically for the food industry. 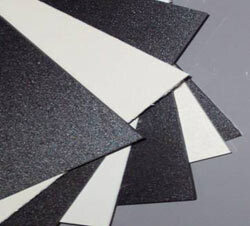 TECAFORM® is resistant to hot water, and typical cleaning chemicals, and it possesses good bearing and wear properties. Its blue color makes it more visible than standard grades. TECAFORM® is commonly used as bushings, rollers, wear strips and other applications requiring a combination of strength, low moisture absorption, chemical resistance and dimensional stability. TECAFORM® FG BLUE is resistant to aqueous solutions with pH values ranging from 4 to 14. TECAFORM® is used in a wide variety of food industry applications requiring good strength and toughness, dimensional stability, wear resistance and the ability to operate in a wet environment with little absorption. Material handling, filling and bottling equipment are some of the common machines utilizing TECAFORM®'s combination of properties. Typical applications are gears, wear strips, bushings, pump parts, fittings and rollers.